Founded in 2007, Houston Heat Treat is a full service heat treating company serving a broad range of industries in the Greater Houston Area. Industries served include Oil & Gas, steel service centers, machine shops, gas turbine services and more. We are dedicated to customer service and continuous improvement in all facets of our business, so that we can provide our customers with the very best in quality processing and heat treating services. Our 17,000 sq. ft. facility is located at 13802 Chrisman Rd., Houston, Texas, 77039. Employee involvement, strategic management and continual improvement and training are an integral part of our operation. We are an ISO 9001:2015 certified company, and we also offer availability to full-service Met-Labs to verify results of processes and materials. We invite you to tour our facilities and discover how HHT can exceed your heat treat needs. or call us at 281-590-9600. Employee involvement, strategic management, and continual improvements in statistical process controls are an integral part of our operation. 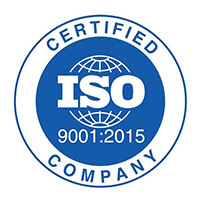 We currently ISO 9001:2015 certified through 2021. Houston Heat Treat, a leading heat treat service provider located in the Houston, TX area, was granted approval through the American Bureau of Shipping (ABS), January 12th, 2018. 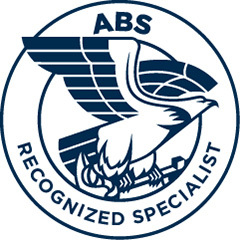 We strive to provide exceptional service in all sectors of our industry, including our marine structure manufacturers monitored by the American Bueau of Shipping (ABS).